On my daily walk, I pass by this iconic view, and I wonder what changes the “Lady” will see in the next few decades. Why should the derelict building that used to collect Laguna’s sewage be “saved?” Crusaders love a crusade. The vocal minority speaks and the city spends. Where’s the common sense? The two main functions of city government are public safety and prudent spending of taxpayer dollars. Why spend a dollar of taxpayer’s money to fix up a decrepit structure? 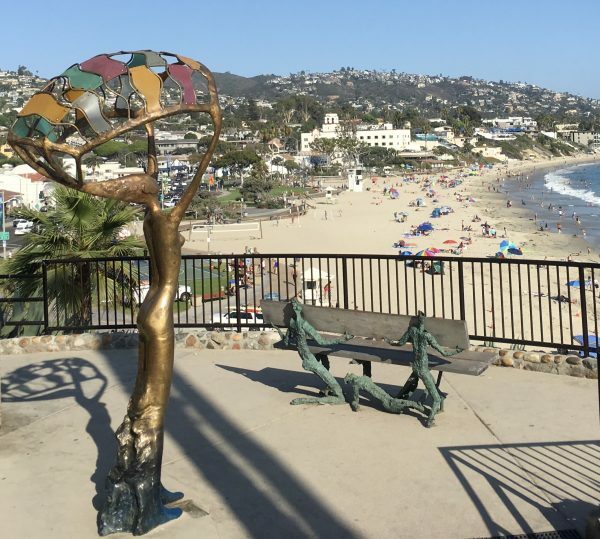 Tear it down and build a skateboard park for the children of Laguna Beach. For over three decades, the city has been searching for the “right location,” and here it is right under their nose. Youth of Laguna unite! Get vocal—no one hears you unless you speak up. This is the perfect location. Think about it. Motivate now, before this opportunity passes by. Let’s move forward. Three city council seats will be voted for this November. Hopefully some of the candidates will pick up the cause for the skateboarders in Laguna. Perhaps the new city council members will listen to the needs of the residents over the wants of the city bureaucrats and usual crusaders. That building is rather unique and could be re-used / re-assigned to another purpose that is compatible and supportive of the new entrance design. I am a strong supporter of a skatepark but would want to look carefully here at the compatibility with artist exhibitor audiences. Near the high school sounds good. Yes, we need more beautiful parks and landscape in Laguna. . A well landscaped place for skaters and visitors makes more sense than an entrance monument. People are attracted to Laguna by its beautiful natural setting; the same reason artists were drawn here more than 100 years Past. We need more natural beauty adjacent to the festivals rather than construction and parking lots.